The most exciting thing about doing serial theater at Arisia 2016 is the ability to show the characters grow and change over the course of multiple stories. This development is one of the most engaging things to present for an audience. When we develop an interest in and an affection for characters, we love to track the progress of their personal journeys. 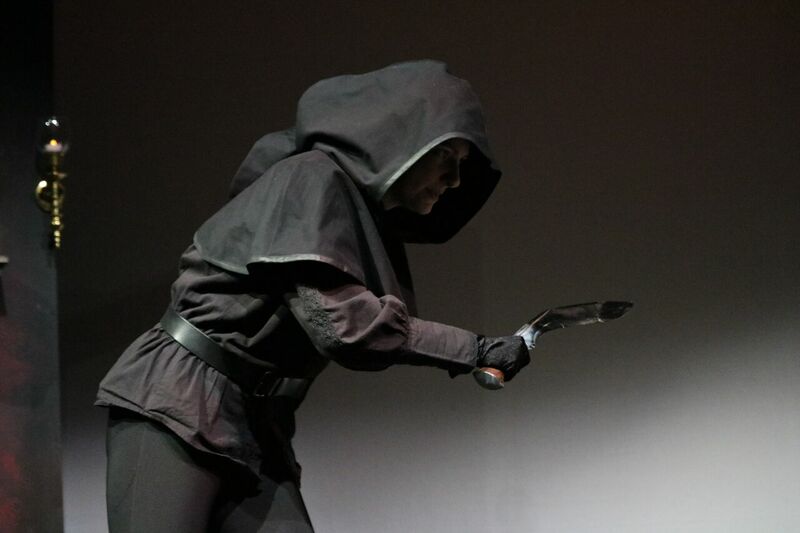 Narrative demands growth and change, which of course we’re familiar with seeing over the course of a single play, but with our attempt at serial theater, we’ve got the chance to give the audience a greater scope of character growth then they’ve ever seen onstage before. This presents an interesting, and in many cases unique, challenge for our actors. With the lion’s share of their experience being in theater, they have not had the chance to play the same character in more than one story. When they reprise Mrs. Hawking, the first play, they recreate the characters’ original journeys that they are already familiar with. However, at the same time, they must start Vivat Regina’s rehearsal process from the place their character ended in Mrs. Hawking. 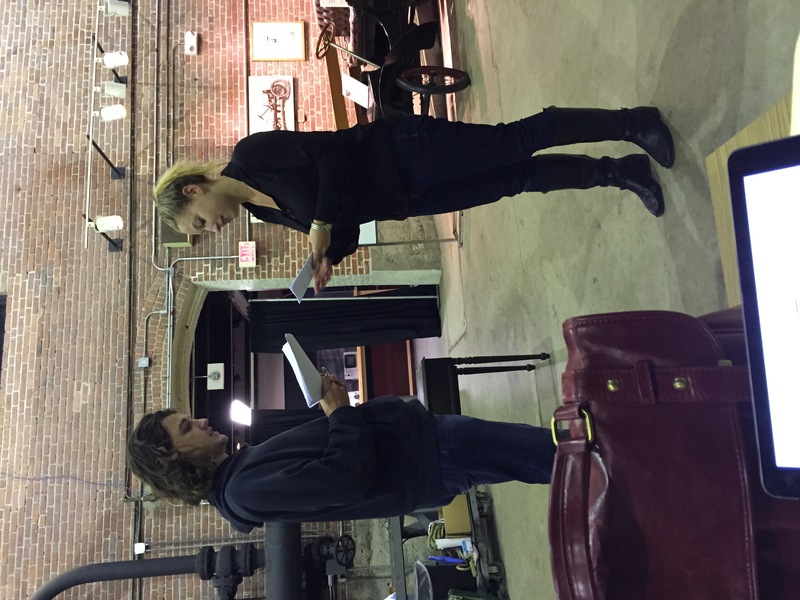 Early rehearsal for Vivat Regina at Arisia 2016, with Jeremiah O’Sullivan as Nathaniel and Isabel Dollar as Frau Gerhard. So, for example, Jeremiah O’Sullivan, our returning actor playing Nathaniel, must recall where the character begins at the start of Mrs. Hawking, and show him develop into the man he is changed into by the events of that play— with a growing awareness of the ways the world fails people less privileged than he, and a determination to do better. Then, going into Vivat Regina, Jeremiah must incorporate those changes as his starting point for Nathaniel for the next play— and then grow further from there! It’s imperative that the audience is able to see the characters progress every time we see them. This is how we will engage people for the long haul. We’re hoping to not only tell two Mrs. Hawking stories, but three and four and more– an entire series! It is investment in the characters that will keep people along for the ride— that desire to see where they’re going. And I love the artistic opportunity it presents for us. Serial theater is something that is rarely attempted, so it’s an experience that few theater actors ever get to take on. I can’t wait to see how our fabulous cast is going to tackle it. 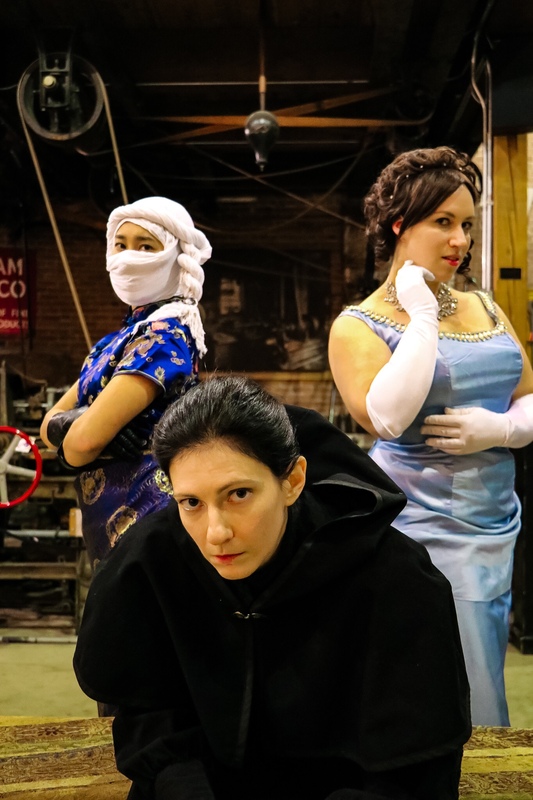 Mrs. Hawking and Vivat Regina will be performed on May 7th as part of the Watch City Steampunk Festival 2016 in Waltham, MA.